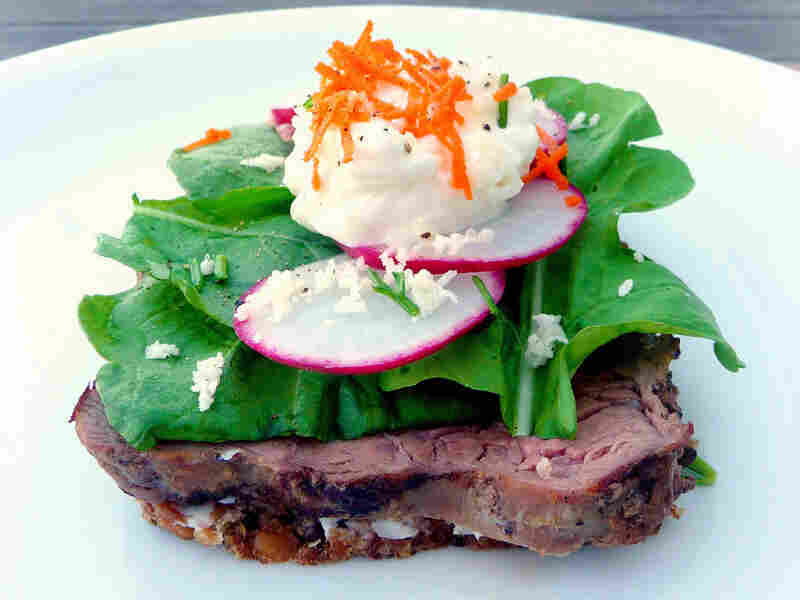 Kitchen Window: The Art Of The Danish Open-Face Sandwich, Or Smorrebrod In a country where understatement and simplicity reign, the unpretentious smorrebrod is a national dish. There are countless variations, from minimal to lavish, but all reflect straightforward Scandinavian sensibilities: simple, honest, local ingredients attractively presented with little waste. 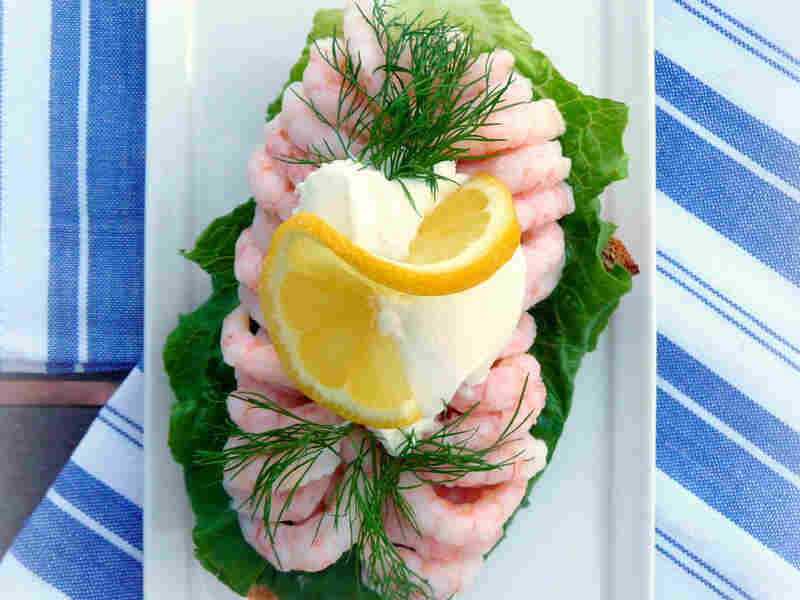 Get smorrebrod recipes: Shrimp With Dill And Lemon, Smoked Salmon Fish Cakes With Dill And Remoulade, Gravlax, Beef And Arugula With Horseradish Creme Fraiche, and Blue Cheese And Apple With Bacon. 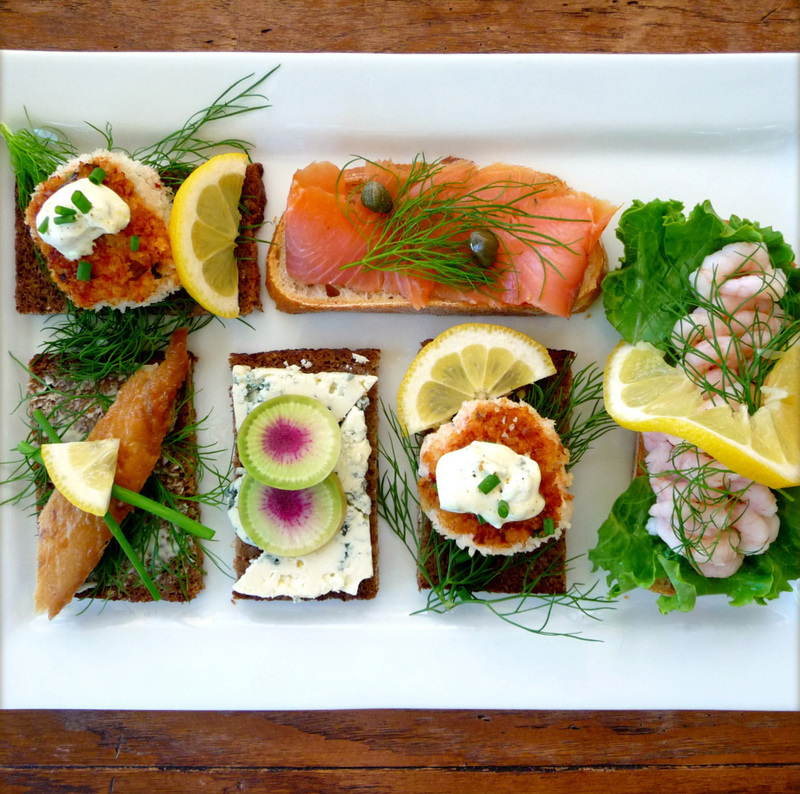 Smorrebrod is eaten in only one order: Herring first, followed by other fish, then meat, then cheese. Before adding a topping, smear the bread with butter or duck fat. Use only rye bread with herring. Do not eat with your hands; only a knife and fork will do. Toast frequently. Not only is this expected, but if you are a smorrebrod rookie, this will calm your nerves and ensure that your table companions will not be inclined to remember your gaffes. 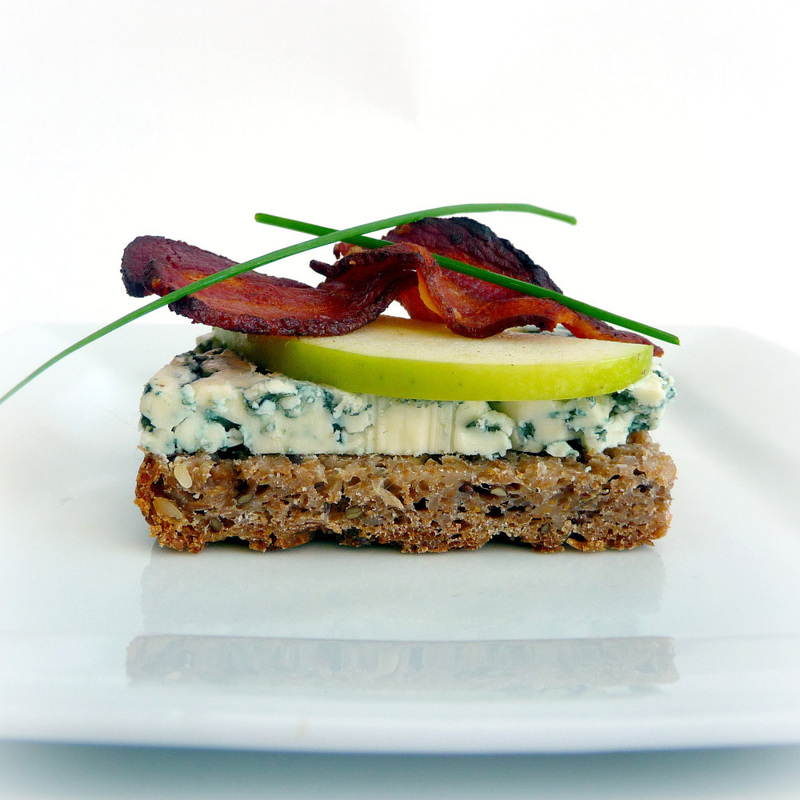 Leave it to the Danes to elevate the open-face sandwich to an art form. In a country where understatement and simplicity reign, it makes sense that the unpretentious sandwich is embraced as a national dish. Some surveys conclude that Danes are among the happiest people on the planet, recognized for their tolerant nature and down-to-earth attitude. So perhaps it's without irony that this same relaxed society would make a lunchbox staple an iconic expression of tasteful design, ranking right up there with Georg Jensen silver and Royal Copenhagen porcelain. Lynda Balslev moved to Paris to study cooking in 1991. She returned to the U.S. 17 years later with a Danish husband, two children and previous addresses in Geneva, London and Copenhagen. During that time, she worked as a freelance food writer, caterer, cooking instructor and food editor for the Danish magazine Sphere. Currently she lives in California's Bay Area, where she writes about food and culinary travel on her blog TasteFood, teaches cooking and is relieved to be speaking English again. 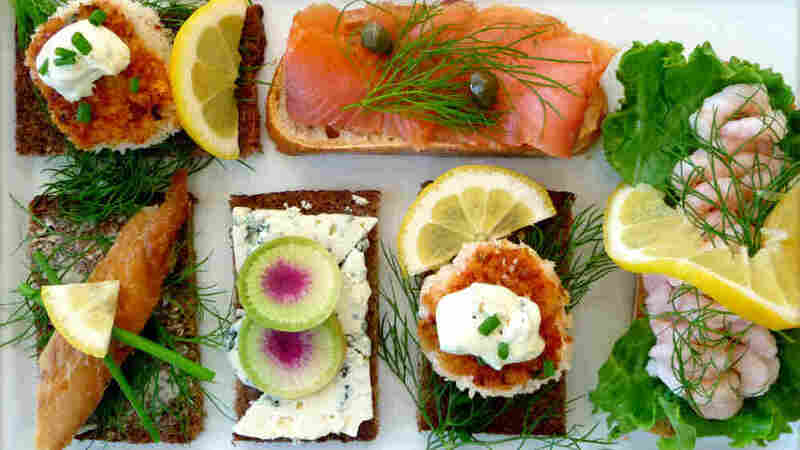 Smorrebrod, which translates as "butter bread," includes countless open-face sandwich combinations, from minimal to lavish. How they are assembled varies with the occasion. However, they share a specific preparation method and order in which they are eaten. They also share ingredients that reflect straightforward Scandinavian sensibilities, using simple, honest, local food attractively presented with little waste. This is as close to ceremony as you will find in the easygoing Danish culture. The origin of the open-face sandwich is the European Middle Ages, when thick slices of stale bread, or trenchers, served as plates. The trenchers absorbed the juice and flavor of the toppings and then were discarded. Over time, the bread was incorporated into the meal because the food-soaked "plate" was often the tastiest component. Denmark's smorrebrod custom became entrenched with the onset of industrialization in the 19th century. Factory workers were no longer able to return home for a midday meal, so they packed a lunch of open-face sandwiches, which in their simplest form included slices of rugbrod (dense, dark rye bread) smeared with butter or animal fat (which helped to prevent the juices from seeping into and softening the bread), topped with cold meats, smoked fish or leftovers from dinner the night before. This tradition took hold over time, moving into the Danish mainstream. Families cultivated hand-me-down recipes, restaurants served more elaborate and creative variations, and the open-face sandwich secured its place at the holiday table. It was at a holiday table where, in the 21st century, I sat with my husband's Danish family for the first time. I wanted to make a good impression and felt confident in my manners until I was confronted with the ritual of eating smorrebrod. Suddenly, I was catapulted into a world of unknown rules, stumbling through a minefield of herring, rye bread and schnapps. If there is a Danish equivalent for the phrase "faux pas," then I committed it. Not only did I place the smoked salmon on rye bread (it must be white bread), but I also used the same plate when I switched from the fish to the meat course. When I gratefully reached for my schnapps, I committed an even worse blunder: I drank without raising the glass first, looking everyone in the eye and saying skol. By smorrebrod standards, I was a cultural Neanderthal. Years passed, my husband and I are still married, and smorrebrod is now a part of our own family tradition. We enjoy its simpler versions as an easy dinner or all dressed up at Christmas. Don't let the rules intimidate you. Once you get the hang of it, it's difficult not to be enchanted by the simple pleasure of eating smorrebrod and the Danish culture that produced it. It's hard not to admire a country that celebrates and expresses itself with fresh, artfully arranged sandwiches and a beer or schnapps. 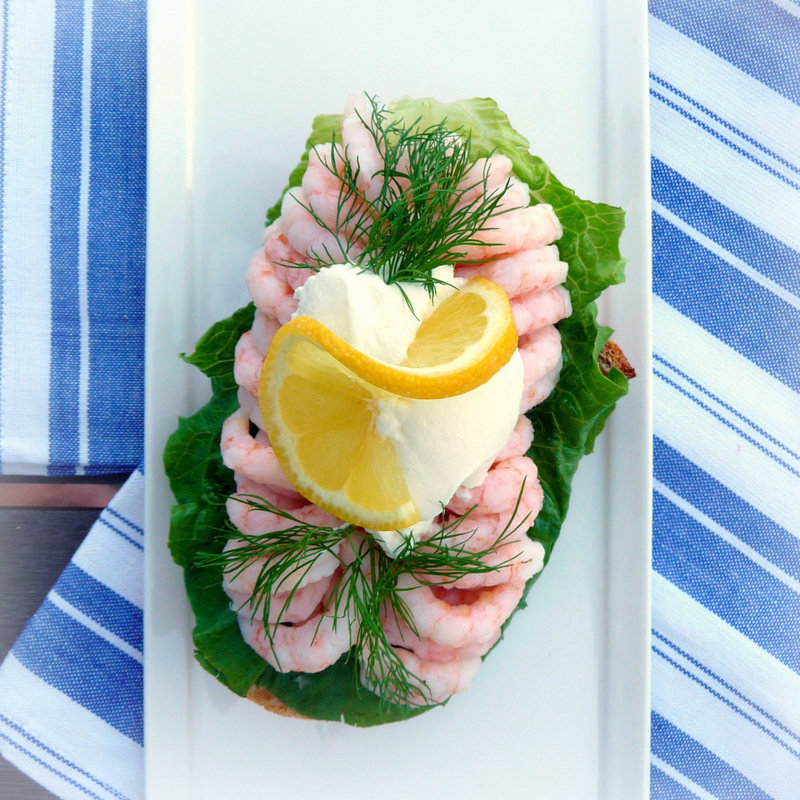 Fjord shrimp are traditionally used in Denmark for this recipe. Harvested from the nearby waterways, the tiny shrimp are hand-peeled before they're arranged on the bread. Bay shrimp or small baby shrimp are a good (and peeled) substitution. Spread each bread slice with butter. Cover with a lettuce leaf. Arrange shrimp in rows on lettuce. Spoon 1 to 2 tablespoons creme fraiche or yogurt over shrimp. Sprinkle with salt and freshly ground black pepper. Garnish with dill sprigs and serve with a lemon wedge. 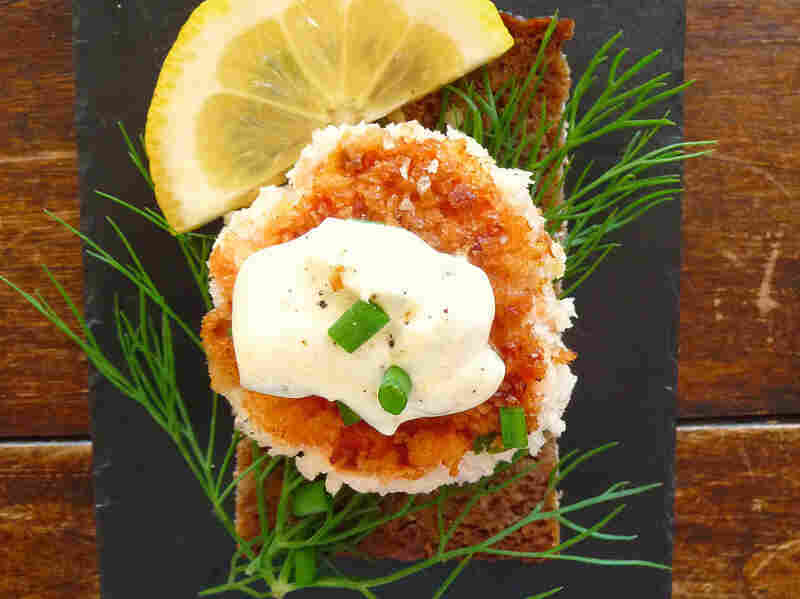 Fish cakes (fiskefrikadeller) are a popular topping for smorrebrod. 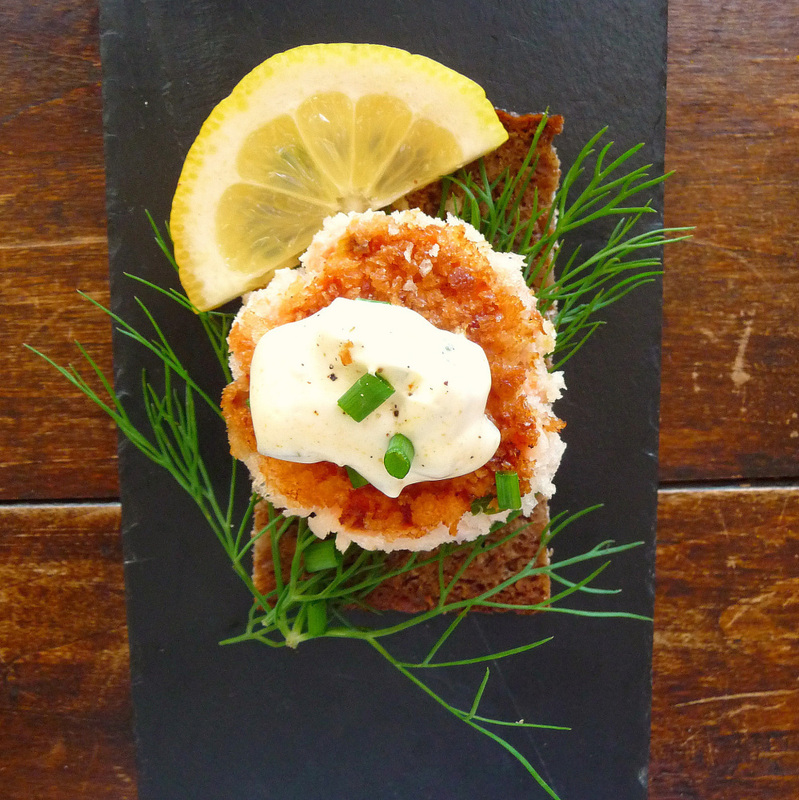 Served on rye bread, they are typically made with cod and served with remoulade. 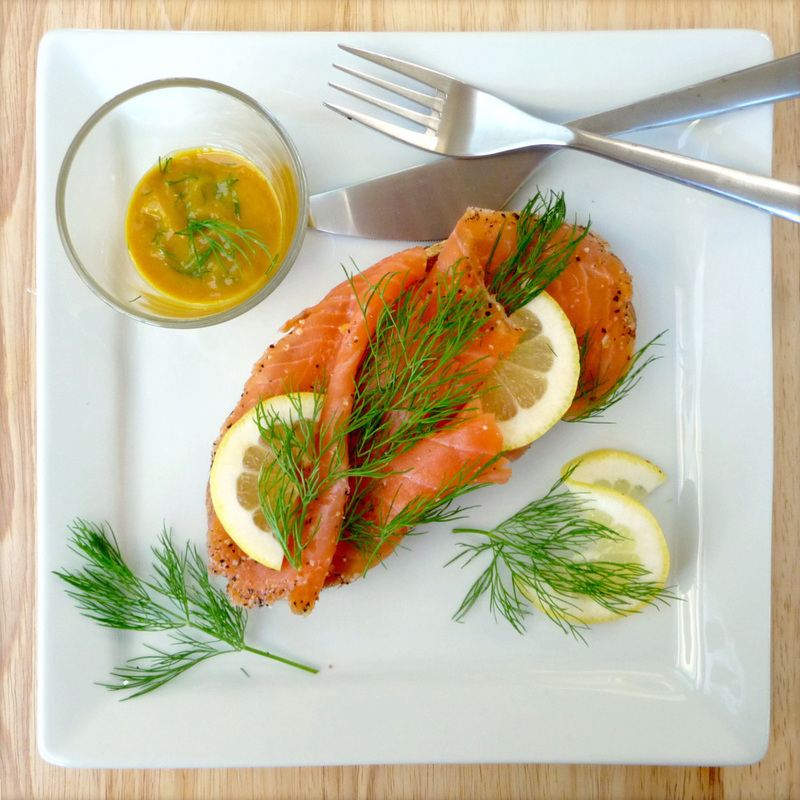 This recipe has evolved in our home, using readily available salmon. The flavors are rich and balanced from smoked salmon, sweet onion and fiery jalapeno. Combine salmon filets and smoked salmon in bowl of food processor. Pulse to coarsely chop without over processing. Transfer salmon to a large bowl. Add 1/4 cup Panko breadcrumbs, scallions, jalapeno, onion with juices, parsley, yogurt, lemon juice, Tabasco and black pepper. Gently mix to thoroughly combine. Heat 2 tablespoons vegetable oil in a skillet over medium-high heat. Add fish cakes in one layer. Fry, turning once, until deep golden brown and cooked through, about 3 minutes per side. Transfer fish cakes to a plate lined with a paper towel to drain; keep warm. Repeat with remaining salmon. To assemble smorrebrod, lightly butter (optional) a slice of rye bread. Arrange a few dill sprigs over butter. Place salmon cake on dill. Spoon a generous teaspoon of remoulade on top of salmon cake. Garnish with snipped chives and a lemon wedge. Remoulade is similar to tartar sauce and used as a garnish for fried fish, fish cakes and roast beef. Gravlaks in Danish and Norwegian or gravad lax in Swedish literally means salmon in a grave. During the Middle Ages, fishermen would salt salmon and let it ferment by burying it in a hole above high-tide line. Today, the salmon cures in the refrigerator over several days, during which the salt and sugar will turn into liquid, creating a brine. Don't let the curing process deter you from trying this recipe. All you need is time: Begin marinating the fish 2 to 3 days before serving. Finely grind peppercorns with a mortar and pestle or in a spice grinder. Mix pepper, salt and sugars together in a medium bowl. Rub fish all over with salt mixture. Remove fish from refrigerator. It will be firm to the touch and juices will have seeped into the pan. Discard plastic wrap. Pour off collected juices and wipe off excess brine and dill. Slice diagonally from one corner of the salmon toward the center of the fillet. Serve on French loaf bread or toasted brioche. 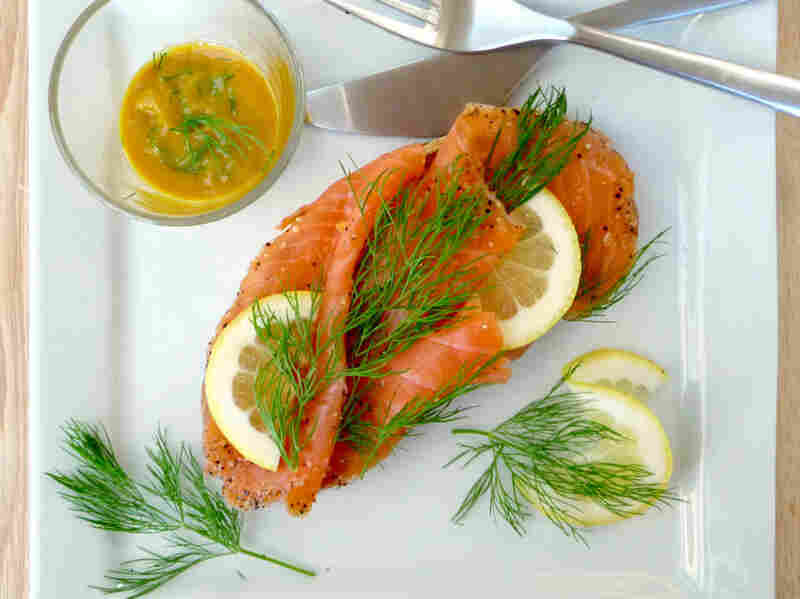 Garnish with fresh dill sprigs and lemon, and serve with Honey Dill Mustard. 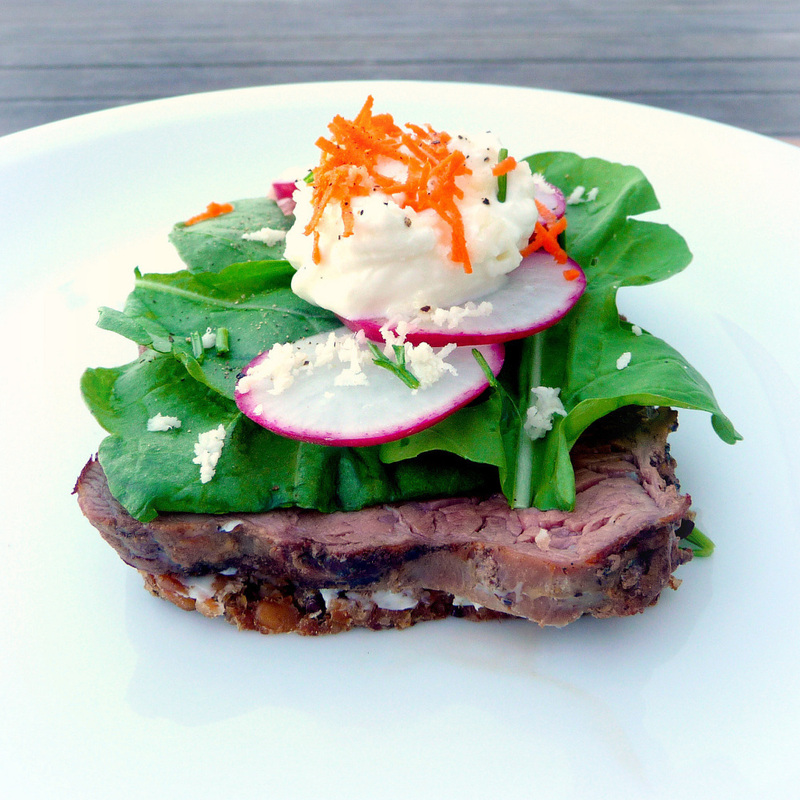 Traditionally, beef is served cold with smorrebrod when the meat is cured or thinly sliced, cooked roast beef. In this recipe, the beef steak may be served warm or cold. Horseradish-infused creme fraiche is used in place of butter on the rye bread. Combine creme fraiche, horseradish, lemon juice and a pinch of salt in a bowl. Set aside. Heat butter in a skillet over medium-high heat. Sprinkle steak with salt and pepper. Add to skillet and cook until medium-rare, about 2 minutes each side. Transfer to cutting board and let rest 5 to 10 minutes. Spread each slice of rye bread with a thin layer of creme fraiche. Thinly slice steak and arrange slices overlapping on bread. Top with arugula. Arrange a row of radishes, overlapping, down center of sandwich. Spoon a dollop of creme fraiche over radishes. Top with chives, horseradish creme fraiche and carrot. Sprinkle with salt and freshly ground pepper. Pork and apples are often served together in Denmark, especially in winter. 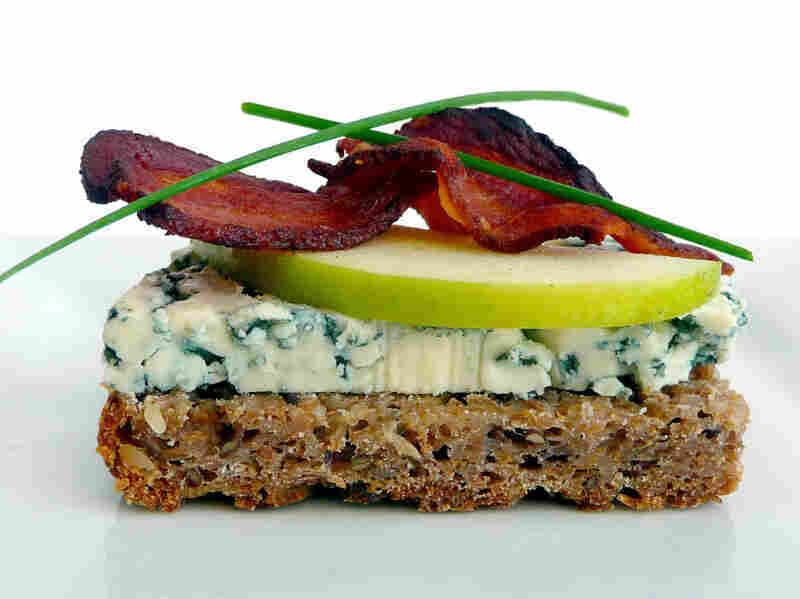 In this recipe, crispy bacon and tart apple are complemented by sharp blue cheese as a variation on this traditional combination. Fry bacon in a skillet over medium heat until crisp. Drain on a plate lined with paper towels. Spread rye bread with butter. Cut cheese in slices 1/4-inch thick and lay over bread. Rub apple slices with lemon half. Arrange apple slices over cheese. Snap each bacon slice in half. Arrange bacon over apples. Garnish with chives and freshly ground black pepper.